Copying and pasting information from emails to DOC files is an exhausting routine. It becomes even worse, when you need to insert images and texts from attachments into DOC copies. 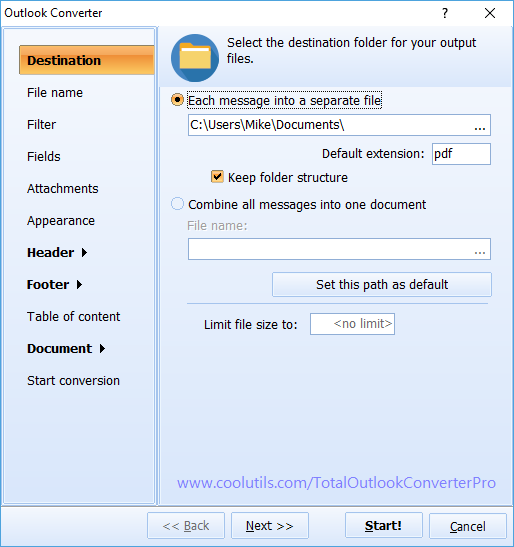 A tool that can convert Outlook emails with attachments to DOC format automatically is Total Outlook Converter Pro. Being a Pro, it professionally manages batch email conversions, giving you ability to take a little rest! 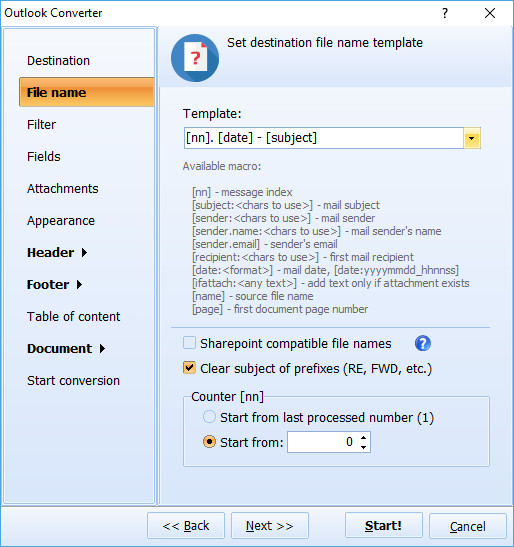 Ability to process Outlook emails with attachments is the main difference of a Pro version from standard Total Outlook Converter. Pro version offers different ways of processing attachments and supports all attachment types. Attached files will be either converted to DOC, inserted to the email copy or stored in your memory folder. This way all information from your mailbox will be properly copied and saved locally. You don't need to setup conversion for each email original. It will be much quicker to convert them all together. 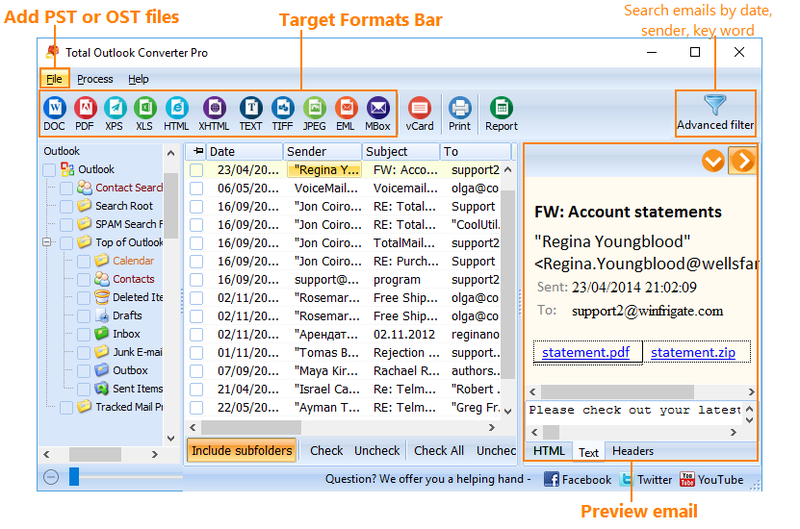 You can set email converter to save each one to a separate DOC file and apply file name template. A name template can contain any macro codes like date of email creation or subject. It will be easy to sort out email copies and search for specific information. 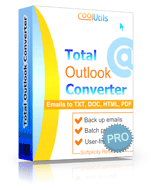 Download Total Outlook Converter Pro in a trial version!